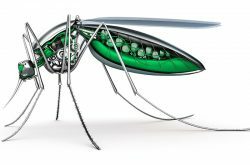 Insect Science® ready to use W.F.T. 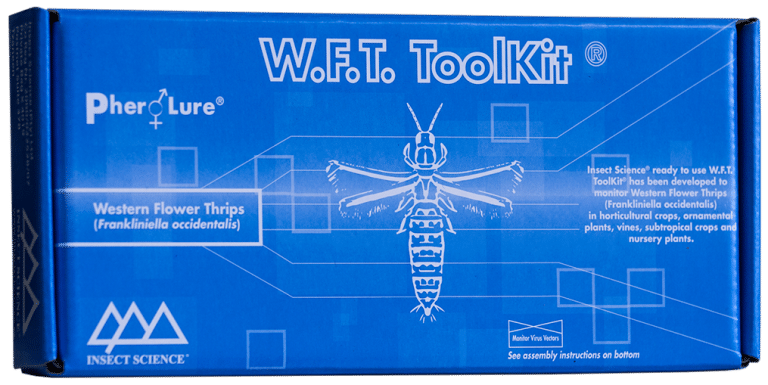 ToolKit® has been developed to monitor Western Flower Thrips (Frankliniella occidentalis) in horticultural crops, ornamental plants, vines, subtropical crops and nursery plants. – W.F.T. 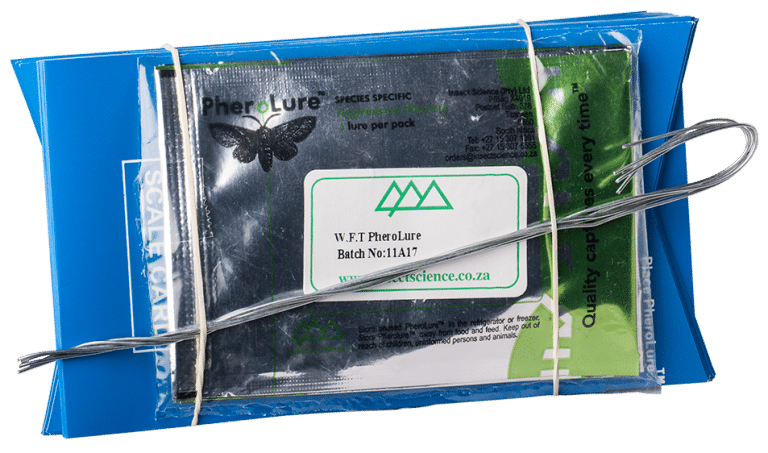 PheroLure® is used together with the Insect Science® Blue Card. – To assemble open the Blue Card and fold the sticky side to the outside. – Slide the galvanized wire supplied through the hole on the top of the Blue Card. – One Blue Card with W.F.T. PheroLure® attached should be placed at a density of one per Ha or one per shade house or tunnel. – Replace the Blue Card weekly and the W.F.T. PheroLure® every 5 weeks. – For row crops suspend the Blue Card with W.F.T. PheroLure® 300 mm above the crop for optimal effect. – For tree crops place the Blue Card with W.F.T. PheroLure® 1,8 m above ground, 300 mm inside tree line. – Place Blue Card with W.F.T. PheroLure® at the start of crop production or pest cycle; this enables the population dynamic and trend over time to be determined. – Lure should be replaced every 5 weeks. – Remove the used lure from field or orchard and dispose of properly. – It is imperative that counts be recorded weekly, preferably on the same day. – Once the Blue Card is removed, count the number of thrips on the scientifically proven 24 UC grid design and multiply by 5 to attain an accurate figure. 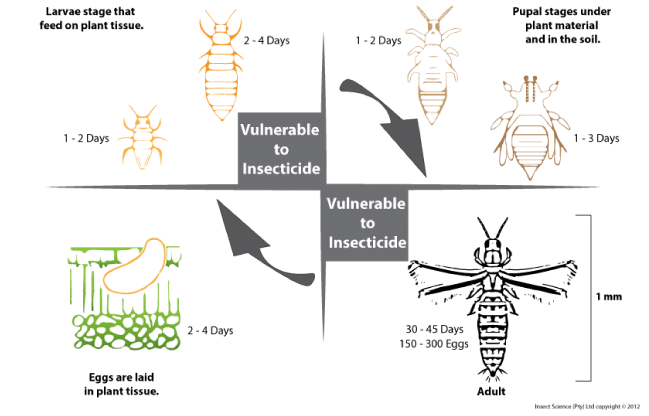 – Record the date and number of thrips caught. – Locate the red arrows on the foil pouch. – Peel the foil layer off completely and dispose of it properly. DO NOT PUNCTURE the remaining sealed pouch that contains the light brown coaster lure. DO NOT REMOVE the light brown coaster lure from the pouch. (The clear layer is a slow release material that allows the aggregation pheromone to release over a 5 week period). – Attach the Blue Card to the U bend in the wire. – Insert the wire through the hole in the corner of the foil pouch. – Slide the sealed pouch down to the N bend of the wire. – The Lure should hang 90 mm above the Blue Card, preventing the Lure from touching it.